If you live in Southern California then you know how hot it was today, WOW! It was 103 degrees today. 103 degrees on October 1st. By the way Happy Vegetarian Day to all the vegetarians out there! 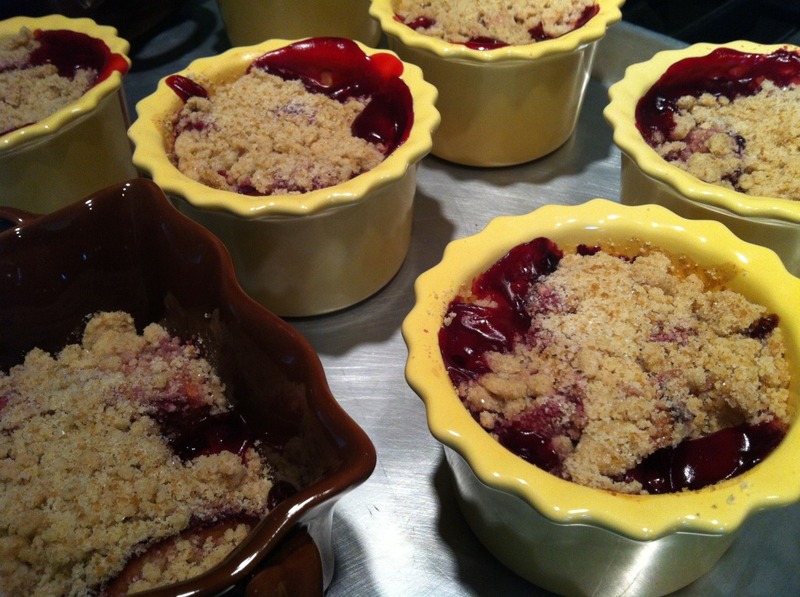 Fortunately, there wasn’t any homework for the kids today so I made this quick Peach Raspberry Crumble. I decided to add frozen raspberries to give it a little tartness; blueberries or cherries are other delish options. You can also either make it all peaches, it’s so versatile. We took advantage of the weather and sat in the backyard for dinner …dairy-free grilled cheese sandwiches with steamed broccoli and this fruit crumble dessert. Simple Monday night dinners are the best. Yes, I will admit, I do have to pinch myself sometimes because of the amazing warm weather we have all year round. So even though it is officially October – and fall is here – you must try this easy summertime dessert to have one last taste of summer before pulling on those boots. Enjoy! 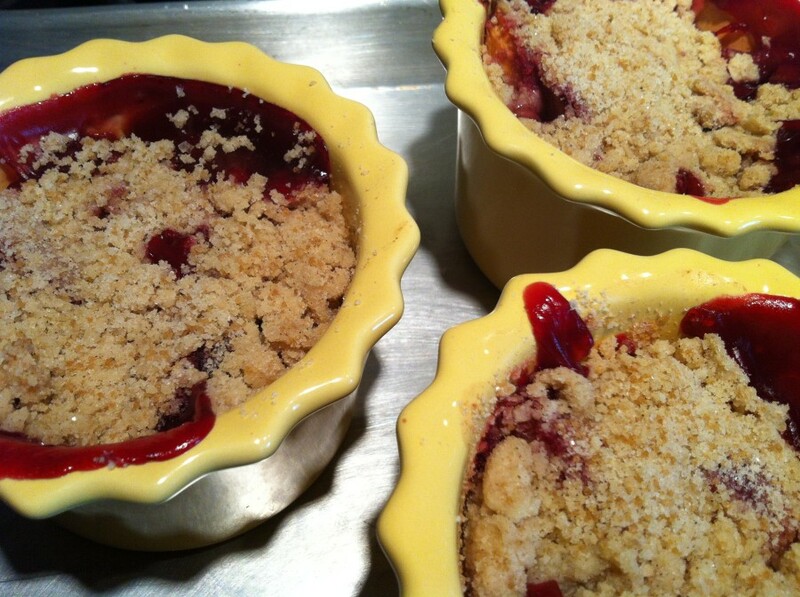 An easy warm crumble with a combination of peaches and raspberries made in individual serving sizes or family-size in a casserole dish that is bursting with fruit flavor topped with a crumble that is crisp yet buttery with a hint of cinnamon. 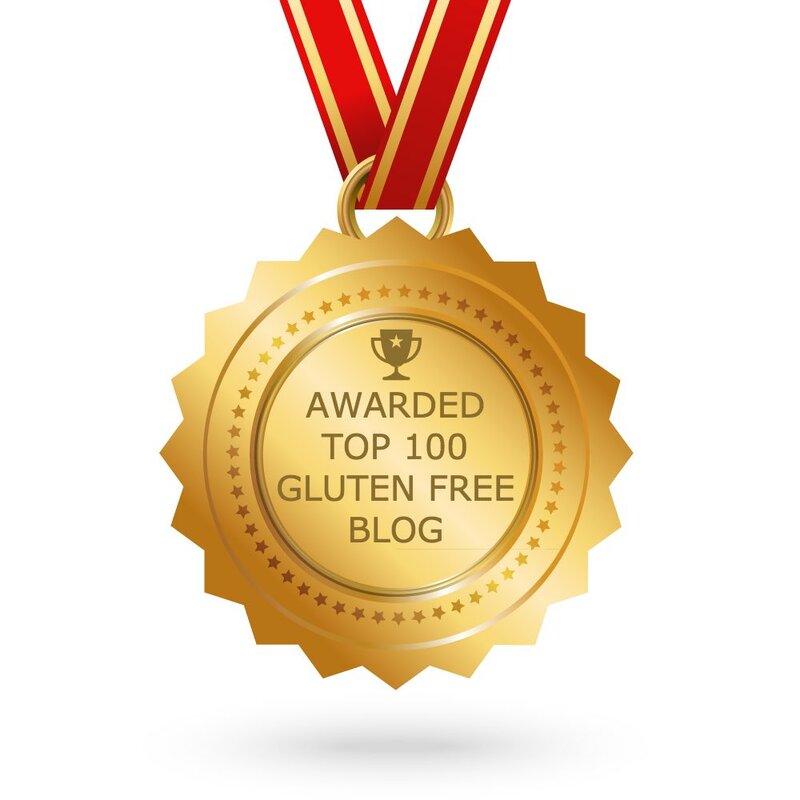 A wonderful allergen-free and vegan dessert as a go-to when entertaining a crowd! 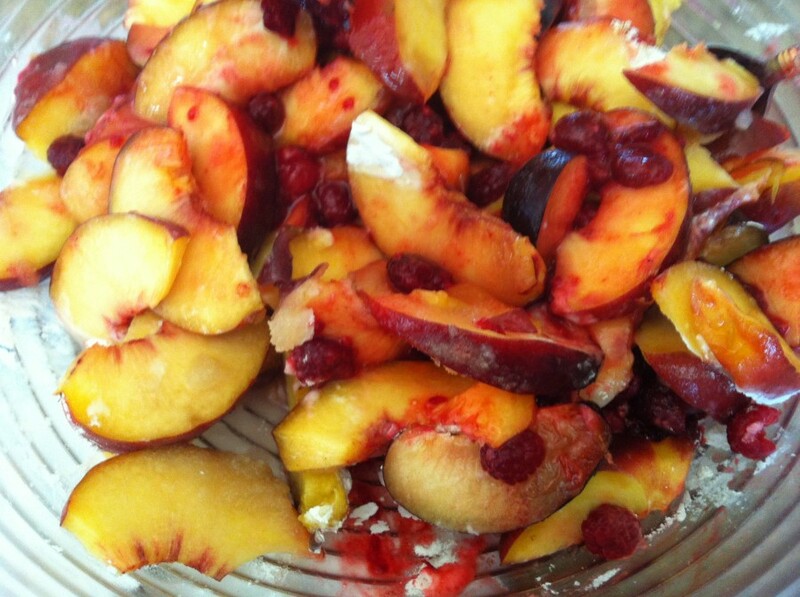 Slice fresh peaches into thick slices, place them into a large bowl. 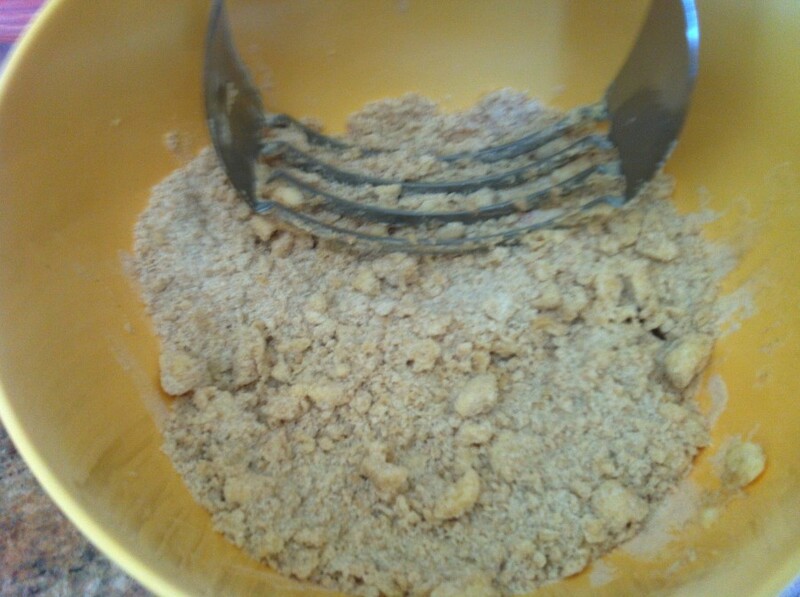 Add lemon zest, lemon juice, sugar, and flour. Toss and combine well. Gently mix in the raspberries. 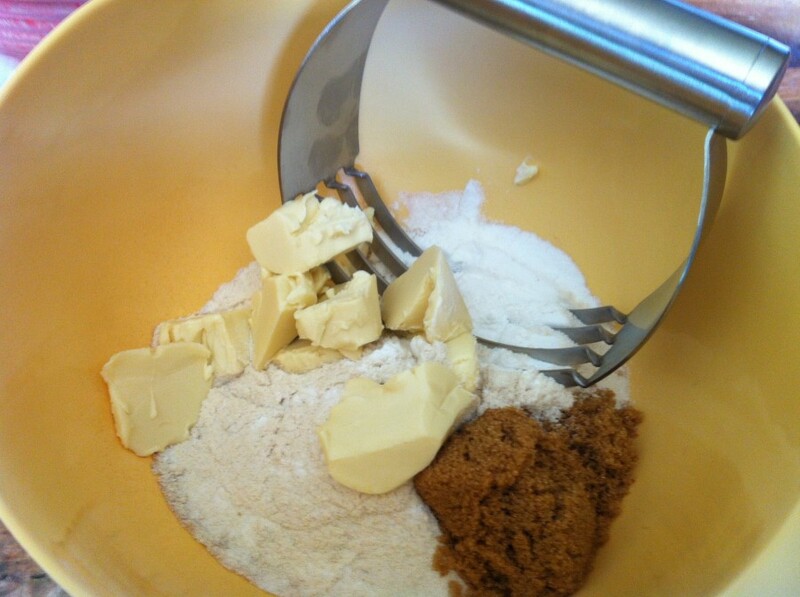 Let the mixture sit for 10 minutes. Note: I find it unnecessary to immerse fresh peaches into boiling water to make them soft and peel, as some cookbooks may suggest. I did this once following a chef’s advice, then tried it without peeling the peaches, the crumble came out just as soft with the skin on. 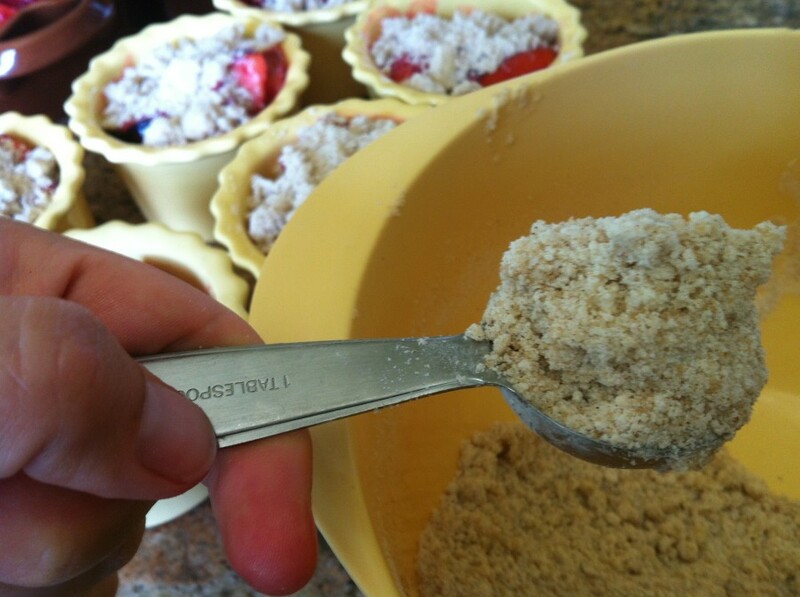 Spoon the mixture into the ramekins or small baking cups. In a medium sized bowl combine all the ingredients and work the margarine with a pastry cutter or with your hands, until it has broken down to the size of peas. It’s okay if there are some larger pieces, it will not affect the baking. Spoon about 2 heaping tablespoons, more or less, into each ramekin. 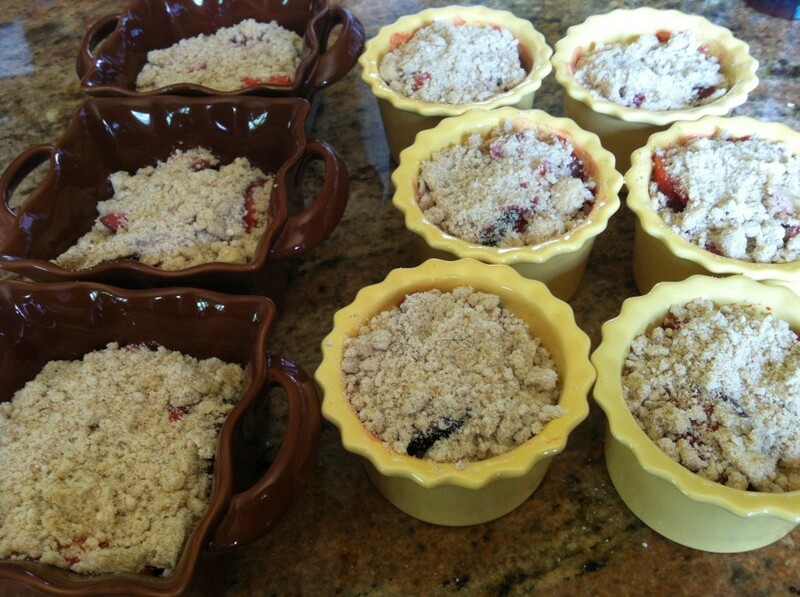 The crumble should cover the fruit. 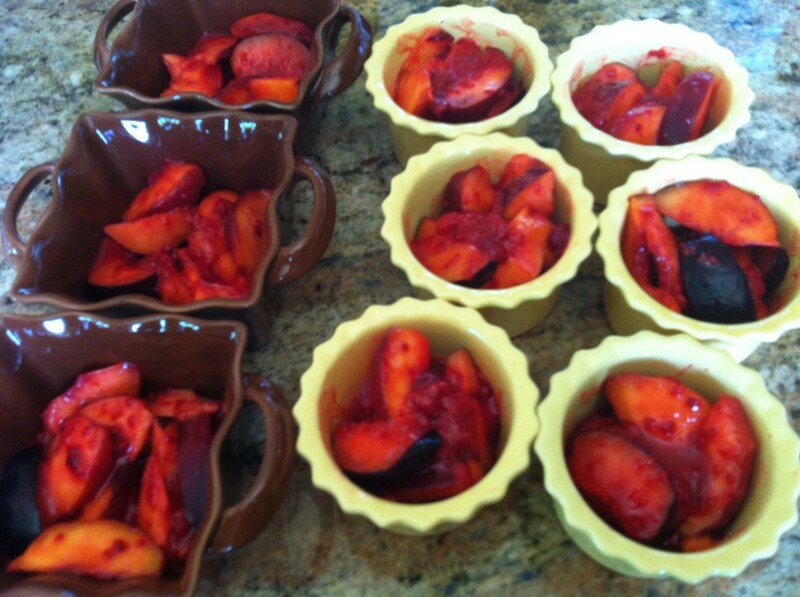 Place the ramekins on a baking sheet (to prevent any spill over in your oven). Bake for 40-45 minutes, until golden brown, and the juices are bubbling. Serve warm or at room temperature. To freeze: cool ramekins completely (at least 2 hours) then triple-ply each ramekin with plastic wrap and store in a freezer-safe ziploc bag. Be sure to label and date it. Can stay frozen for up to 2 months and refrigerated for up to 5 days. Thank you for Quinn for your comment and glad it came out yummy! 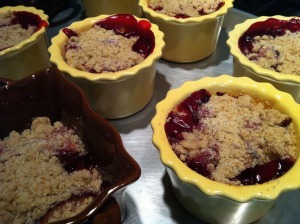 It's freezing here in Montana so I made this amazing warm crumble dessert of yours to warm us up for our Oscar viewing. I just pulled them out of the oven and they are bubbling and smells amazing. Thank you for a fantastic recipe!! It is pouring rain in Los Angeles but I don't care I have the best crumble in my hand that I have ever made. Jessica, this is a winner. YUM.